It’s kind of interesting, to think of all the miles we’ve tread on and around Mount Hood — all the way around it, up to its summit, out to its waterfalls and up to its grandiose viewpoints — and realize that still, 16 years later, there’s plenty that we’ve not tread. 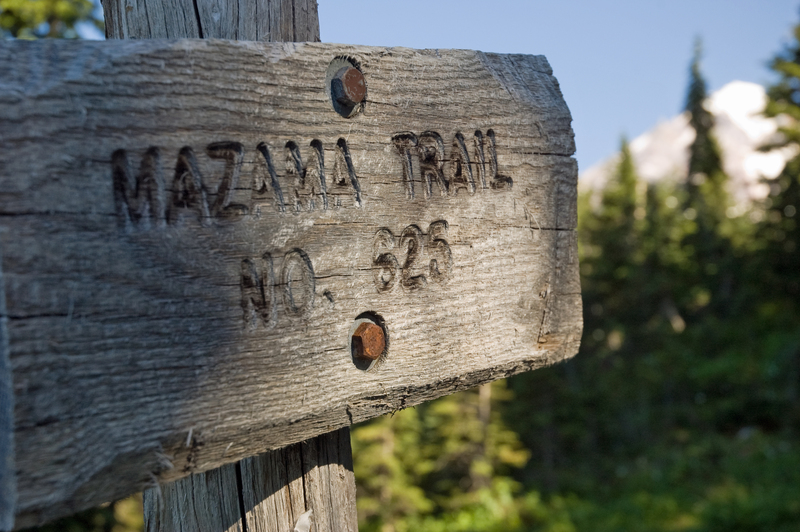 Case in point: the Mazama Trail, a roughly three-mile path that unfolds up one of the mountain’s most prominent spines, Cathedral Ridge, along its northwestern face. Apparently it was long a popular trail until the Forest Service found itself unable to maintain it in the mid 1980s. Luckily the Mazamas stepped in, got it back up to speed, and officially dedicated it in 1994 to celebrate the club’s 100th anniversary. Oliver and I set out this past weekend to revisit an absolute trademark Mount Hood locale, McNeil Point, a prominent and scenic overlook that perches high up on the mountain’s northwestern side and affords overwhelming views of Hood, the Sandy Glacier, cascading waterfalls, St. Helens, Adams and Rainier on good days, and so much more. We’d been there before — a few times, actually — but it had been years. It had been too long. Rather than take the more standard route up to McNeil, however, we decided to tread new ground on the Mazama Trail. It takes a little longer to drive to, but it’s much quieter — we were just one of two cars at the trailhead — and it also shares a different take on the route up to McNeil, especially since the Dollar Lake fire of 2011. 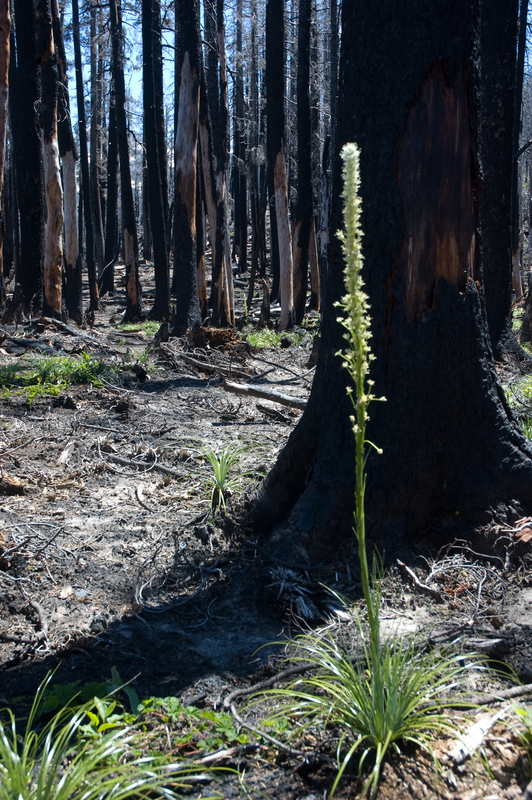 Now, rather than pass through forests of fir, you slog up Cathedral Ridge and stroll through not only the remnants of the fire, but the beginnings of what’s next to come. The fire had its way with the ridge, but that’s nature. 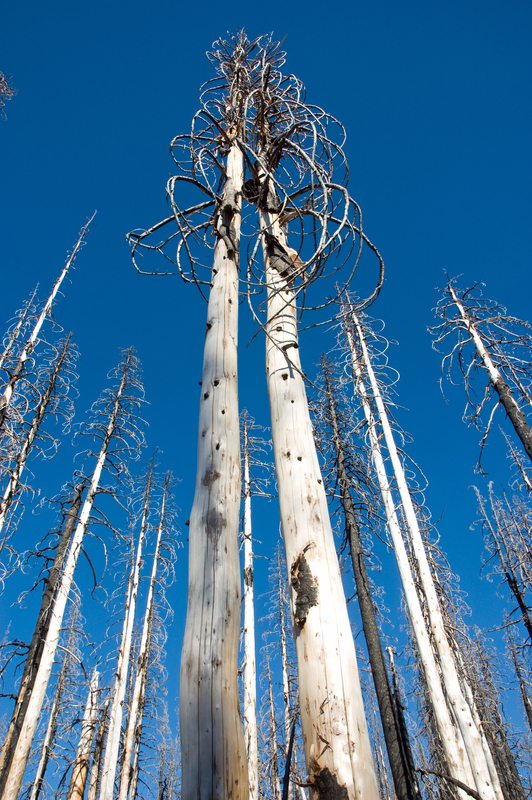 And really, as much as I love big, tall trees, forest fires can make for some pretty fascinating hikes. 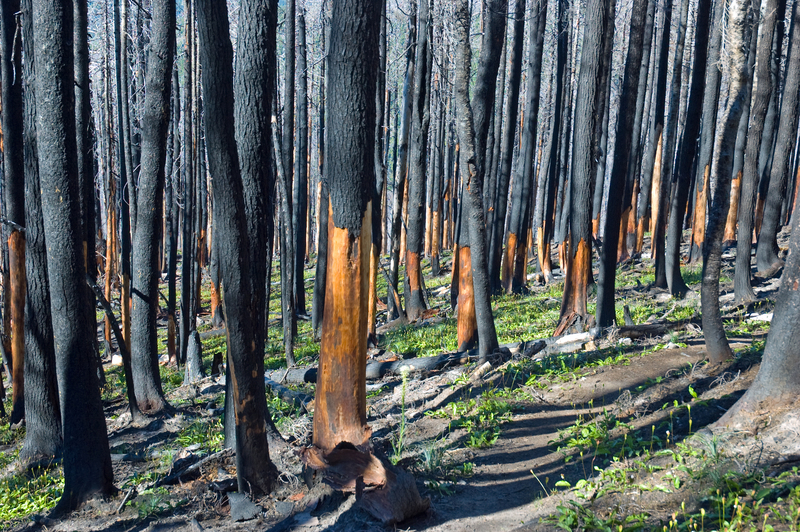 The big payoff for slogging up four-plus miles and a couple thousand feet of elevation, however, has nothing to do with the remnants of a forest fire. 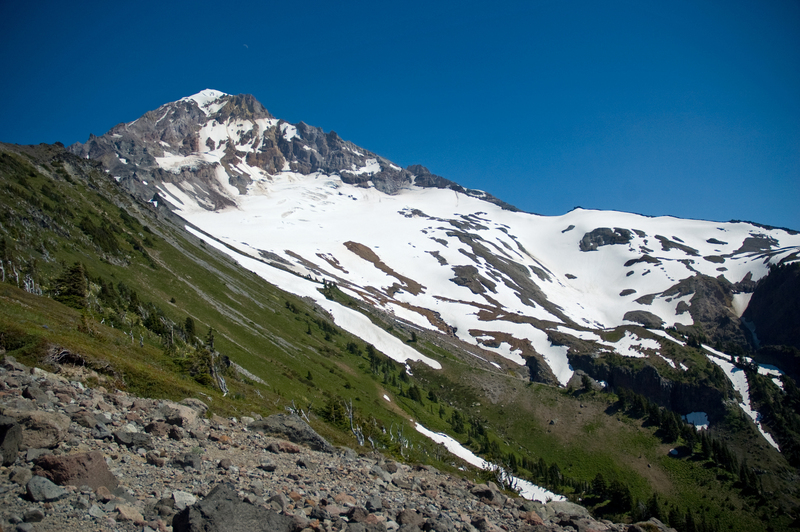 It’s all about the mountain when you get to McNeil Point, which is named for Oregon journalist Fred McNeil, a huge fan of the mountain, author of the 1937 classic, Wy’east The Mountain, and one of the inspirations behind my own Mount Hood book. The view from here, the fresh air, the feeling, is not easy to describe. Unless you’ve been there yourself, I’d say imagination works best. Sunday on McNeil Point was an immaculate day. 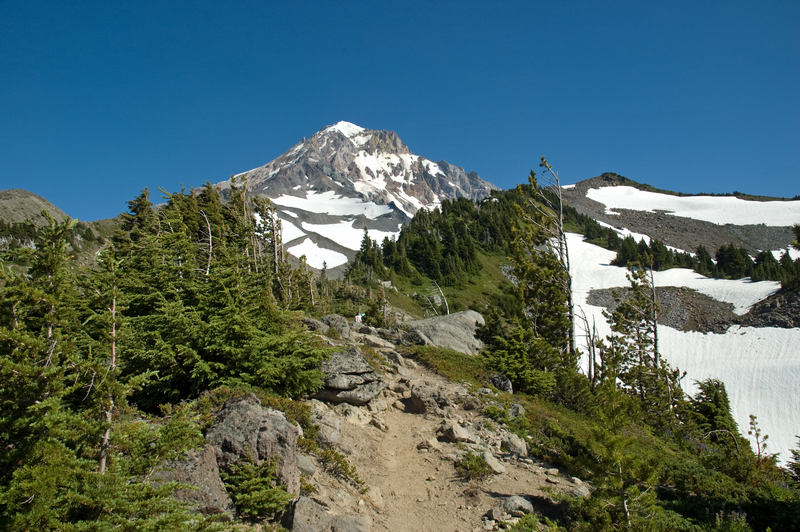 Warm and breezy, sunny and blue, the day was just what you hope for — and expect, really — of a July day on Mount Hood. McNeil Point is a popular place, to be sure, but that’s a relative term. I crossed paths with maybe 15 people up that high, and all were there to simply enjoy the day. Oliver, too, despite the stiffness that would set in the next day, relished not only every inch he covered, but the hourlong respite we enjoyed up high. Hard as it was to leave, we had to, so we set off back down from the point, down across some incredible and colorful alpine meadows, across a few snowfields, past a seasonal pond or two, and back down toward the ridge. Oliver cooled off in the snow and drank from the streams. I took it all in as much as I could, and kept turning around to get one more last glance of the mountain before we descended into the trees, back toward the rest of the world. 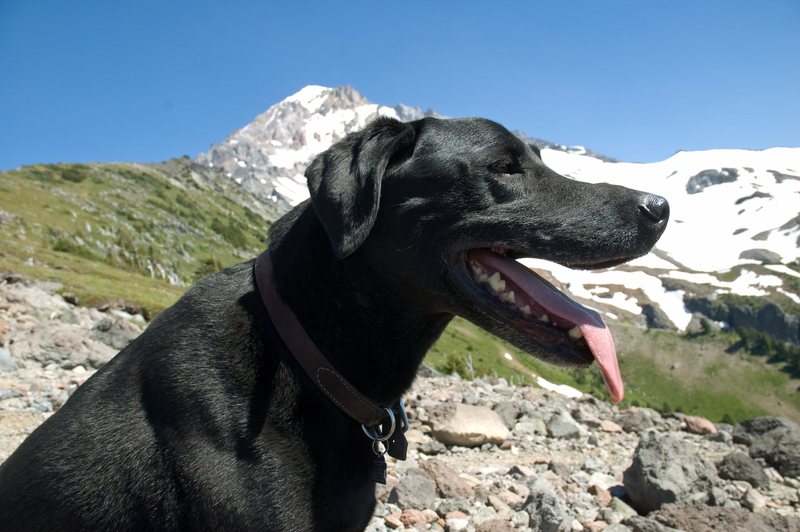 This entry was posted on July 17, 2013 by onmounthood. It was filed under Hiking and was tagged with hiking, McNeil point, Mount Hood, On Mount Hood: the book, Sandy River, writing.